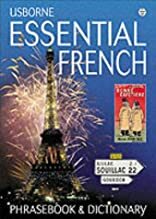 This French phrasebook and dictionary will help readers to deal with any situation that arises. It also offers vital facts and practical tips for those travelling on a budget. It contains everyday phrases including slang and pronounciation tips as well as words like e-mail and mobile phone.